Cascarones, bright colors, food, live music, San Antonio culture and, of course, one big fiesta; these are just some of the things visitors can expect to find at UTSA fiesta. April 21, 2017 marks the 40th annual Fiesta UTSA event. UTSA Fiesta — a student organization-led event — brings together both the UTSA community and the San Antonio community. Fiesta UTSA joined in on Fiesta® San Antonio in 1978 and was the first Fiesta event to be held in northwest San Antonio. It is now one of the many Fiesta events around the city. 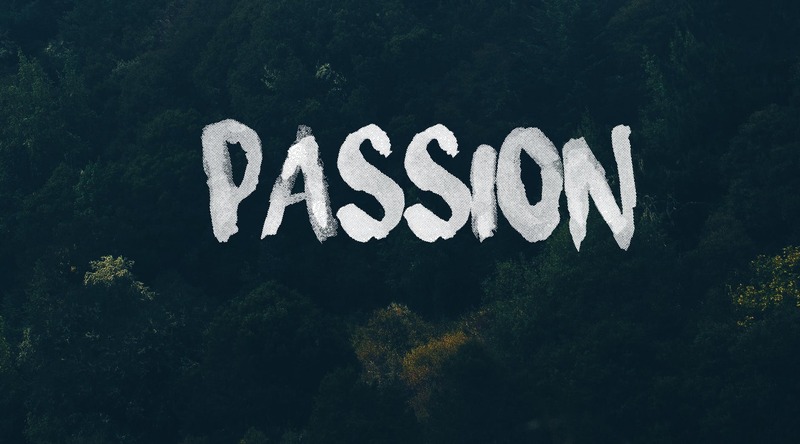 Fiesta UTSA, previously coordinated by Campus Activities Board, is now coordinated by Roadrunner Productions, which also coordinates other big UTSA events such as BestFest in the fall. Roadrunner Productions invites all UTSA student organizations to join Fiesta to help student organizations fundraise and have a fun time. Organizations sign up for what they want to sell or bring to the fiesta experience. Variety of foods are sold, ranging from San Antonio classics to foods from the many cultures that make up San Antonio. Cascarones—or eggshells filled with confetti—are also passed out during the event and are cracked over people’s heads to adorn them with confetti. Over 60 student organizations are involved in Fiesta UTSA this year. The theme of this year is centered on a ruby, similar to a ruby jubilee. 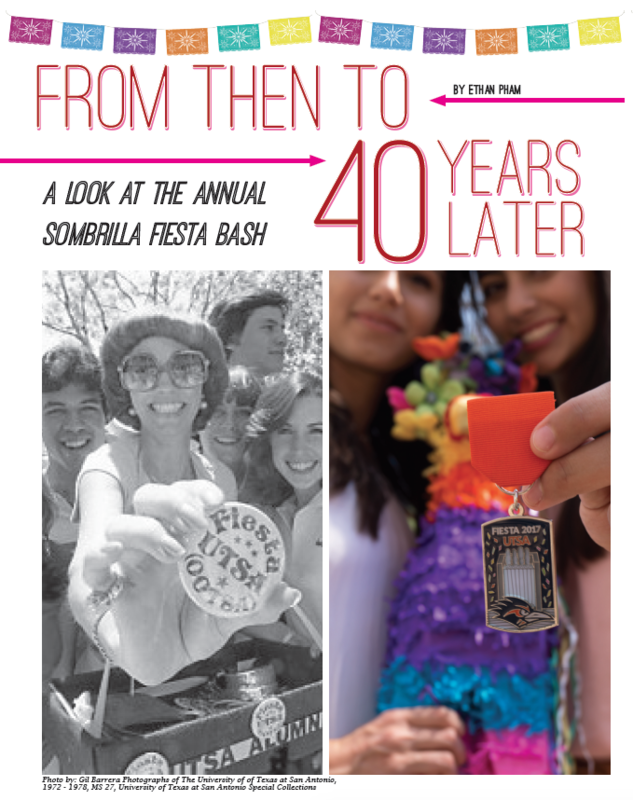 UTSA rings in its 40th fiesta with a Sombrilla fountain Fiesta medal. Student organizations are challenged to create a decorated booth that goes with the number 40, rubies and the UTSA community as a whole. The theme changes every year for Fiesta UTSA. Themes include Fiesta Baile (“Dance Fiesta”), All It’s Cracked Up To Be (brought back cascarones to Fiesta), Fiesta de Correcaminos (“Roadrunner Fiesta”) and Fiesta de Honor (“Fiesta of Honor”). Organizations are encouraged to compete by decorating their booths based on the year’s theme. Contests are held for best decorated booth (judged by Roadrunner Productions and students) and greenest booth (judged by The Green Society). Fiesta UTSA, held in the Sombrilla, livens up with colorfully decorated booths, food, confetti and Fiesta’s royalty, who celebrate with the UTSA community. Live music plays in the Sombrilla Plaza featuring special guests. A recent tradition added to Fiesta UTSA is the UTSA Football Fiesta. This year marks the seventh year of this event, which is presented by HealthTexas. Aside from Fiesta UTSA, UTSA gets involved with Fiesta® San Antonio by attending the kick-off, Fiesta® parades and any other Fiesta® events to which UTSA is invited.